In addition, tickets are available from University Book Shop (Otago) for 'Make Your Mark' on writing and intellectual property, 'Love in the Afternoon' writers workshop with Daphne de Jong, and Young Adult Writers' Workshop with Mandy Hager, : phone 03 477 6976, visit www.unibooks.co.nz or visit them at 378 Great King St.
DWRF LITERARY LUNCH SERIES: Make Your Mark! Learn how to navigate some of the intellectual property issues facing writers in the modern publishing environment. This workshop is presented by Dunedin intellectual property specialist Sally Peart. Email your questions in advance of the workshop to sally@marksandworth.co.nz. One of many stand-out events from DWRF 14, we’re presenting it again with a new cache of authors and publications including a wonderful quinella of a new Brasch poetry selection fittingly alongside the latest Landfall release. Celebrate new work by established and emerging wr﻿﻿iters at Dunedin’s oldest (and most charming) literary venue: the Athenaeum Library. Chain Reaction presents: Rachel Scott of Otago University Press, David Eggleton, Alan Roddick, David Howard, Roger Hicken, poet laureate Vincent O'Sullivan, and Lynley Edmeades. Celebrate 150 years since the birth of W.B. Yeats. The evening is a musical collaboration of Yeats’ work sung by University of Otago Music voice performance students, accompanied by Tom McGrath, and introduced by 2014 Robert Burns Fellow, Majella Cullinane. Presented by Dr Will Martin who was the Inaugural Postdoctoral Fellow in Irish Studies. Supported by the University of Otago Department of Music. 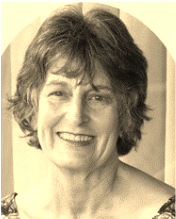 Daphne Clair de Jong, current President of Honour of the New Zealand Society of Authors, will deliver the 2015 Janet Frame Memorial Lecture. She is best-known here and internationally for her top-selling romantic novels which she has written under the pen names of Daphne Clair and Laurey Bright. Supported by the New Zealand Society of Authors. Successful in New Zealand, North America and the United Kingdom, Daphne de Jong’s romance novels have won her both acclaim and income. 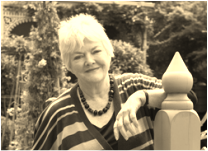 Join Daphne for this workshop, kindly sponsored by the New Zealand Society of Authors, and learn some of the professional tricks of romance writing. Celebrate with us as we officially open the second Dunedin Writers and Readers Festival. Join writers and invited guests as we kick off a stunning weekend combining prose, poetry, and performance. 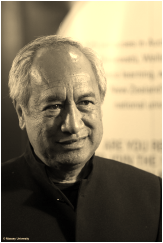 Special festival guest, ﻿Witi Ihimaera﻿, will deliver the 2015 New Zealand Book Council address alongside enigmatic and entertaining Book Council chairperson, Peter Biggs. 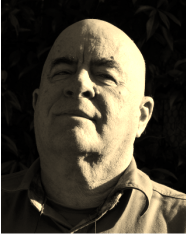 Forty years on from being the 1975 Robert Burns Fellow, Ihimaera will give a freewheeling and spirited address on where New Zealand literature has come from, where it is today and where it appears to be heading. Supported by the New Zealand Book Council. Thursday is the new Friday! How better to celebrate than over a glass of something gorgeous, in good company, with great poetry? 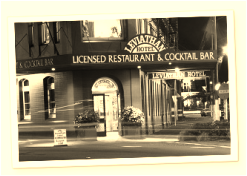 Otago poets Michael Harlow, Rogelio Guedea, Kay McKenzie Cooke and Peter Olds join 2015 Robert Burns fellow Louise Wallace for an hour or two of wit, words and poetic wisdom at the Leviathan Hotel. The New Zealand Book Council is coming to Dunedin as part of DWRF 15 and invite teachers to select up to five of their most enthusiastic writers from Years 5–7 to be part of ‘Speed Date an Author’. 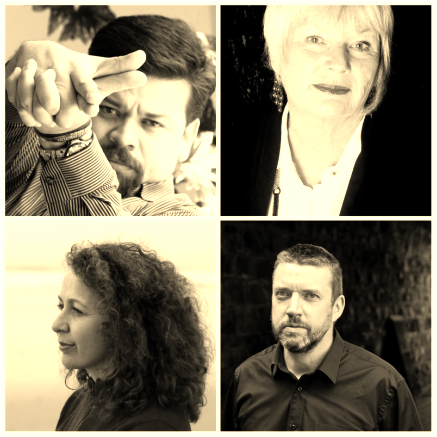 This is a rare opportunity for students and teachers to learn from award-winning children’s writer Kyle Mewburn; 2015 Robert Burns Fellow and poet Louise Wallace; dynamic professional storyteller Tanya Batt; and local, upcoming graphic novel artist, Spencer Hall. Supported by the New Zealand Book Council. 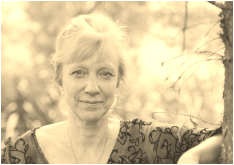 Bring your creativity, your good ideas and your best writing skills along and let NZ Post award-winning Mandy Hager draw the stories out of you. Hager was the Mansfield Fellow in Menton, France in 2014, and is the author of last year’s critically lauded Singing Home the Whale and the 2013 LIANZA award-winning Dear Vincent. A workshop for teenagers (no adults allowed!) to get great ideas flowing and learn the tricks of creative writing. 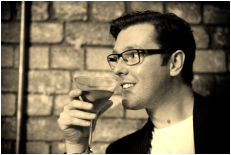 Join debonair salonniere Damian Barr, of the wellknown Literary Salon podcasts, in a lively workshop aimed at those who wish to make a start on the memoir they have always meant to write. Barr, author of memoir Maggie and Me, will explore the challenges and joys of transforming your life into print. You will be motivated and entertained in this three hour workshop. Supported by the British Council and the Auckland Writers Festival. May is New Zealand Music Month and 2015 is the centennial anniversary of Douglas Lilburn, widely acknowledged as ‘the father of New Zealand composition’. Lilburn was close friends with leading artists, writers and poets of his generation, and it seems fitting, therefore, to include a performance of his ‘Salutes to Seven Poets’ as part of the Festival’s offerings. Performers include leading New Zealand poet and prose writer, Emma Neale; violinist Tessa Petersen, Senior Lecturer in Violin, and pianist Terence Dennis, Blair Professor of Music; both of the University of Otago. 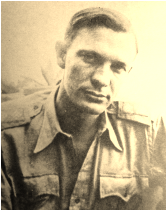 Dan Davin is one of the south’s most important literary figures. One hundred years on from his birth, this dedication and placement of a plaque in the Octagon alongside other luminaries, such as James K. Baxter and Janet Frame, is testament to Davin’s multiple roles as a University of Otago Rhodes Scholar, publisher, writer, soldier, and war historian. Brought to the Festival by the Dunedin Writers Walk Advisory Group. It’s 1923 and the Great War is over. This stage adaptation of Virginia Woolf’s classic novel Mrs Dalloway has garnered five-star reviews at the Edinburgh Fringe Festival 2014, enjoying critical and commercial success. Conjuring the hopes and regrets of middle and upper-class London, Virginia Woolf offers a compellingly feminine response to the aftermath of the First World War. 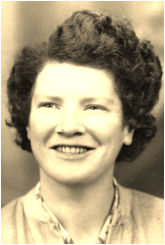 It is performed by acclaimed British writer and performer, Rebecca Vaughan. Supported by the Auckland Writers Festival. No contemporary artist has captured the essence of the Central Otago landscape as ﻿Grahame Sydney﻿ has. His work is immediately recognisable, yet there is much more to Grahame Sydney’s art than Central Otago. Join the artist in conversation with 2014 New Zealand Publisher of the Year, Robbie Burton, executive publisher at Potton & Burton, for a unique insight into the art — and the man. H is for Hawk, I is for Inspire, J is for Join us! We welcome to Dunedin Helen Macdonald following her outstanding recent literary wins: the 2014 Samuel Johnson Prize for non-fiction, and the Costa Book of the Year. Be inspired by Macdonald’s personal tale of taming a formidable bird of prey, the Goshawk, after the sudden death of her father. Both elegy and celebration, H is for Hawk explores the relationship between humankind and the environment, while finding life in death. Chaired by renowned writer and literary salon host, Damian Barr. Supported by the British Council and the Auckland Writers Festival. Join University of Auckland’s Associate Professor of Psychology Dr Niki Harré in discussion with Dunedin’s Dr Maureen Howard about issues of sustainability, values and political activism. In particular, Harré will be discussing her 2011 book Psychology for a Better World which focusses on engagement with people in order to create a more sustainable and equitable society. Since 2006, event host Howard has been running sustainable living courses in Dunedin and is committed to revolutionising the way people think about themselves and the universe. Join two literary seadogs for some swashbuckling tales. In his book, The Catch, investigative journalist Michael Field delves into the world of foreign ﬁshing vessels in New Zealand’s waters engaging in modern slavery. As well as the terrible human misery, Field also explores dubious, wasteful, and environmentally damaging ﬁshing practices. Chaired by Maritime Union Communications Oﬃcer and poet Victor Billot. Supported by Awa Press. Calling all gardening and cooking enthusiasts! Stephanie Alexander and Lynda Hallinan wax lyrical about the good life with Life & Leisure editor, Kate Coughlan. Alexander, writer of the classic The Cook’s Companion and founder of Australia’s Kitchen Garden Foundation, and New Zealand Gardening editor, Hallinan, are the ideal companions in this session about food, gardening, eating and living well. Compèred by lifestyle editor and journalist, Coughlan. Leading non-ﬁction publisher, Robbie Burton (2014 New Zealand Publisher of the Year) introduces an electric line-up of our international guests. Writers often lead parallel lives and ‘Lightning Talks’ is a quick-ﬁre hour where each author illuminates the audience on what makes both them and their writing pulse. Featuring Nick Davies, Natalie Haynes, Zia Haider Rahman and Helen Macdonald. Sure to be a high-energy event -- come prepared to be struck by lightning! Supported by Potton & Burton and the Auckland Writers Festival. year. One of New Zealand’s best-loved, gifted, and awarded writers (including the Kiriyama Paciﬁc Rim Book Prize, and the New Zealand Book Awards Deutz Medal for ﬁction), she discusses her life and writing with her contemporary and friend, Witi Ihimaera. 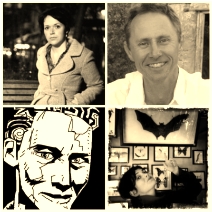 Don’t miss this stellar combination of two of New Zealand’s brightest literary stars. 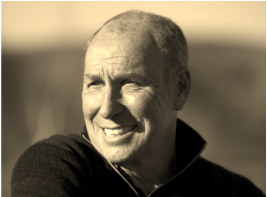 Best-selling columnist and satirist Steve Braunias, winner of the 2013 New Zealand Book Award for Non-Fiction, and award-winning Dunedin lifestyle writer Lisa Scott, author of the recently released Kindness and Lies, team up to talk-up the art of the essay and the columnist’s skill. Match-maker for the hour is internationally published crime-writer and Dunedin-local, Vanda Symon. Two fascinating individuals with recently published and captivating accounts of their personal lives come together to discuss their memoirs. New Zealand’s Witi Ihimaera (Maori Boy – A Memoir of Childhood) and Elspeth Sandys (What Lies Beneath) untangle just who they think they are, the webs that bind the memoir form, and explore the most challenging of protagonists — themselves! 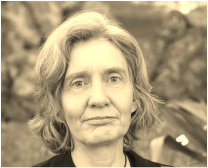 Chaired by 2013 Michael King Fellow, pre-eminent novelist, poet and short-story writer Fiona Farrell. Damian Barr comes directly from his own London Literary Salons where he interviews the latest and best writers. Join Barr, in conversation with Natalie Haynes, for a fascinating insight into this self-described salonnierre, journalist and writer. His memoir, Maggie and Me, set in Scotland during the Thatcher years, is a surprisingly tender, uproariously funny and heart-breaking autobiography. Come and meet the man behind the story. Supported by the British Council and the Auckland Writers Festival. 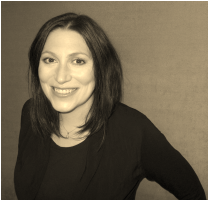 and Radio New Zealand’s Head of Content, Carol Hirschfeld, to explore questions of media impartiality and manipulation. Supported by the Auckland Writers Festival and the Otago Daily Times. the course of the past half century. 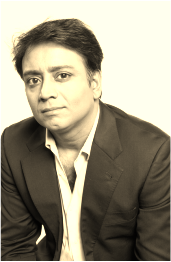 Intellectually and philosophically stimulating, Rahman’s book explores questions of love, belonging, science, and war. Join Kevin Clements, the Director of the New Zealand National Centre for Peace and Conﬂict Studies at the University of Otago, as we shine the light on Rahman’s extraordinary ﬁrst novel. Supported by the Auckland Writers Festival. Dunedin has a compelling Slam Poetry vibe. For the uninitiated, Slam Poetry is the competitive art of performance poetry. The Athenaeum provides the perfect performance venue for an Open Slam session where poets are invited to perform original works. A $100 University Book Shop voucher for the festival choice performer. Supported by University Book Shop Otago. Grab an early morning coffee and join passionate trampers Shaun Barnett and Chris Maclean as they talk about the development of tramping in New Zealand, and their book Tramping: A New Zealand History. From the early formed ﬁrst tramping clubs, to the battles endured to have wilderness areas and national parks established, tramping is well and truly part of the New Zealand psyche. Barnett and Maclean are both experienced trampers, and award winning authors and editors in their own rights. Hear the fascinating story of our great outdoors by these respected back-country historians chaired by Dunedin’s own favourite tramping buddy, Neville Peat. Vona Groarke is a gifted and much-loved Irish poet. Her sixth collection of poetry X, was published last year and is considered a pioneering publication from a writer hailed by the Poetry Ireland Review as being ‘among the best Irish poets writing today’. 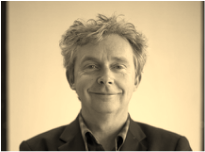 Joining her in this informal session is Scottish writer and Stuart Chair of Scottish Studies at the University of Otago, Liam McIlvanney. Supported by the Scottish Studies Programme, University of Otago. Sassy Brit, Natalie Haynes, author of An Ancient Guide to Modern Life, takes you on a surprisingly funny whistle, stop tour around Ancient Greek tragedy, and explains, why without Aeschylus, we’d only have one-man plays; without Euripides, we’d have no template for great female heroes and villains; and why all TV detective shows are based on Sophocles’ plays. She’ll also talk about The Amber Fury, her most recent novel, which is set in modern-day Edinburgh, the Athens of the North. Supported by the Auckland Writers Festival. 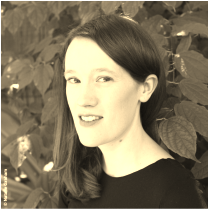 Already tipped as a potential Booker contender, Anna Smaill and her debut novel The Chimes are receiving international acclaim. Described as lyrically written, The Chimes is set in dystopian future England where reading and writing have been banned and music, rather than words, is the organising principle of life. Join the very talented Smaill, who is also a poet and trained musician, and local poet, writer and editor Emma Neale, to discover more about her and her stunning original work. ‘Writing a novel is a terrible experience, during which the hair often falls out and the teeth decay. I’m always irritated by people who imply that writing ﬁction is an escape from reality. It is a plunge into reality and it’s very shocking to the system.’ Flannery O’Connor, Mystery and Manners: Occasional Prose. 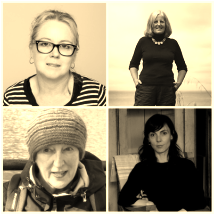 Join contemporary ﬁction writers Laurence Fearnley, Emily Perkins and Jackie Ballantyne with Fiona Farrell as Chair, for an hour of discussion about what drives them to want to write a novel. Stephanie Alexander is an Australian cook, restaurateur, food writer and educator. Her book The Cook’s Companion is regarded as an Australian classic. Join her as she expresses the pleasures of sharing food around the table. Hosted by local food, travel and style guru Judith Cullen, this Mother’s Day afternoon tea will certainly touch on all that is sweet in life! Crime is the most popular ﬁction genre. What makes the crime writer tick, and why do so many people want to read novels of nastiness? Vanda Symon chairs a panel with Rogelio Guedea, Paddy Richardson and Liam McIlvanney who specialise in terror and suspense. Find out what drives them to chill, thrill and kill within their pages. 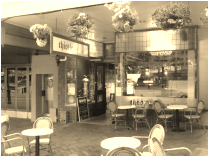 The New Zealand Society of Authors (Otago/Southland) initiated a successful and entertaining Writers’ Salon series during 2014. NZSA has generously agreed to host a special ‘Sunday Salon’ to help wrap up this year’s DWRF festival. Come along and listen to a range of emerging local talent, each with their own unique voice. The NZSA do a fabulous job advocating for and supporting new writers. A wonderful, social way to bring the festival to a close. New work by poet Annie Villiers & artist John Z Robinson. Hand bound, limited edition. Exquisitely illustrated poetic narrative. 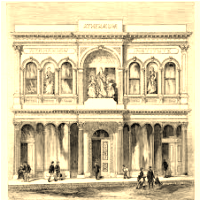 55 Princes Street, Dunedin. RSVP to info@moraygallery.co.nz Gallery open daily during Dunedin Writers Festival. 20 May, Guest Poets: Louise Wallace (Current Robert Burns Fellow) and Michael Harlow (with Lynley Edmeades as MC). Indulge your love of reading and help with the upkeep of this beautiful theatre. 12noon Friday 22 May to 12noon Saturday 23 May. Picture/Poem at the Hocken Library: An Exhibition of works by poet Cilla McQueen and respected painter Joanna Paul that incorporate poetry and image.